On the last few days of my Baltic adventure I was a bit under the weather and was considering not venturing out for the day. But here I was in Copenhagen and I figured I could survive the adventure. Here's a shot I took in Nyhavn during the afternoon. While it doesn't look quite that busy, the view in the other direction was incredibly crowded with people sitting along the pier enjoying the afternoon. 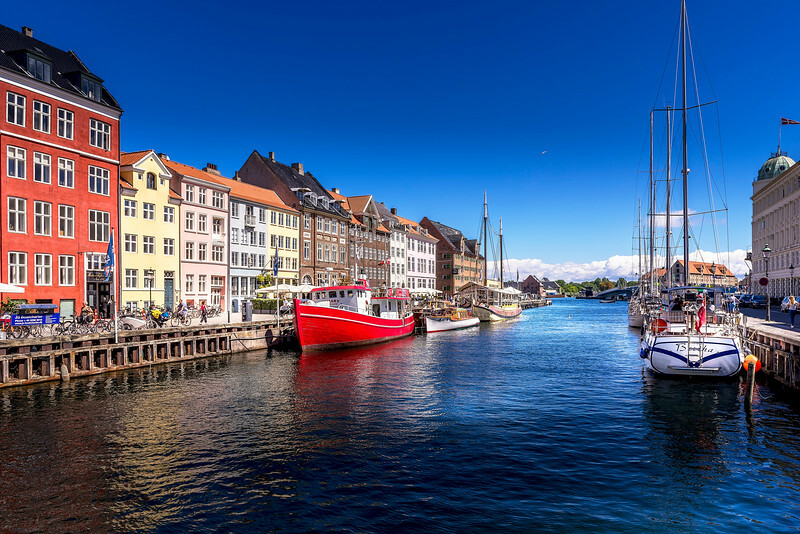 Nyhavn is the "South Beach" of Copenhagen without being pretentious, and that is what makes it so perfectly appealing.